I thought this was a lovely romantic story. It's the perfect feel good, holiday romance book to curl up with. The pace of the romance was quite slow for the first half of the book which I felt was realistic and right for the characters and their circumstances. My favourite character is Will. He has been secretly in love with Mina for years and finally has a chance to romance her. He is so kind and considerate to Mina even though she reacts irrationally to certain things. I thought they made an adorable couple. 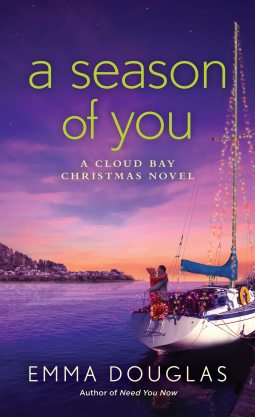 I enjoyed the whole setting of Cloud Bay and I would certainly look out for more in the series. I particularly want to read more about Will's brother. Reading the first book would have helped me understand the relationships in the story better. I didn't really understand Mina's family connections but it didn't impact my overall enjoyment of the book.